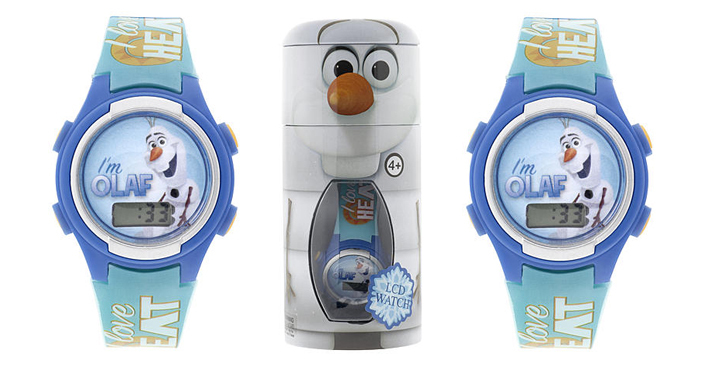 Disney Olaf LCD Watch in Cylinder Tin Just $5.99! Down From $20! You are here: Home / Great Deals / Disney Olaf LCD Watch in Cylinder Tin Just $5.99! Down From $20! Sears has this Disney Olaf LCD Watch in Cylinder Tin on sale for just $5.99 (Reg. $20)! This is a Frozen Olaf LCD watch in a cylinder tin.